Anwar al-Awlaki - the radical spiritual leader linked to several 9/11 attackers, the Fort Hood shooting, and the attempted Christmas Day bombing of an airliner - was a guest at the Pentagon in the months after 9/11, a Pentagon official confirmed to CBS News. At the same time, the FBI was also interviewing Awlaki about his contacts with three of the 9/11 attackers - Nawaf al-Hazmi, Khalid al Midhar and Hani Hanjour - who were all part of the crew of five that hijacked the American Airlines jet that hit the Pentagon. In the days after 9/11, Awlaki told FBI officials he remembered meeting al Hazmi but recalled little else about him. 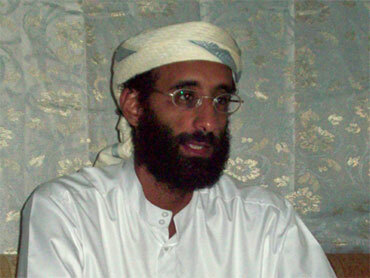 It is believed Awlaki met both al Hazmi and al Midhar in 2000 when Awlaki was the imam at a mosque in San Diego. Awlaki later moved to Northern Virginia and al Hazmi was seen at the Virginia mosque as well. However, there are scant details about Awlaki's actual contacts with al Midhar and Hani Hanjour. In 2001, the FBI did not share this investigative information with the Pentagon, but officials say there was no reason to - Awlaki was not a suspect and was not believed to be connected to the 9/11 attacks. Instead he was viewed as a valuable liaison to the Muslim community and a potential investigative source. As one official put it, "he was a much different guy back then." Still, it's not clear what kind of vetting or background check was done by the Defense Department before Awlaki was allowed into the building. In the nine years since the meeting, Awlaki has become increasingly radicalized and is part of the core leadership of al Qaeda in the Arabian Peninsula. His radical preachings helped to inspire alleged Fort Hood gunman Major Nidal Hasan and officials say Awlaki took a direct operational role in the failed Christmas Day attack on Northwest Airlines flight 253. Awlak, who was born in the United States, has now been targeted by the government - he's currently on the CIA's list of terrorists to be killed or captured. The FBI only learned of Awlaki's Pentagon luncheon during the investigation into the November 2009 Fort Hood shootings. A Defense Department employee recognized the cleric's picture and reported the 2001 meeting to the FBI. News of al-Awlaki's presence at the Pentagon event was first reported by Fox News.